Welcome to Ms. McCosker's website! On this website you will find many tools to help with learning at home. Ms. McCosker is starting her second year of teaching. She joined the Highland City Elementary Staff in the Fall of 2009. 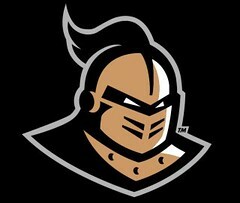 Ms. McCosker graduated from UCF with a Bachelors of Science in Exceptional Student Education. She is certified to teach K-6, ESE K-12, and ESOL. Currently, she is working on her Reading Endorsement. Ms. McCosker grew up in Washingtonville, NY. In her senior year of high school, there were three blizzards. She had enough of the snow and ice and decided to come to Florida for college! Ms. McCosker lives in Bay Lake, Florida in Orange County. 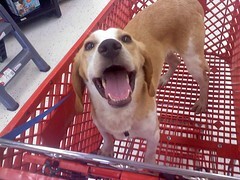 Below you will see a picture of her beloved pup, Kenneth, enjoying a ride in a PetCo cart!